Facebook's Building 8 project is headed by ex-DARPA chief Regina Dugan. It seems every time Facebook unveils one of its secret projects, it’s more and more like Hydra. We might be getting ahead of ourselves here, but the company’s newest initiative, that of letting people communicate via touch and thoughts. If that wasn’t enough, the project is headed by Regina Dugan, formed director of the Defense Advanced Research Projects Agency (DARPA) and Google’s Advanced Technologies and Projects group. The project is called Building 8, which was reported when Dugan was first hired as well. Interestingly, buildings in Facebook’s headquarters are all numbered, but there is no Building 8. Really, doesn’t it seem like Facebook wants to build a mysterious aura around what Dugan’s team does? 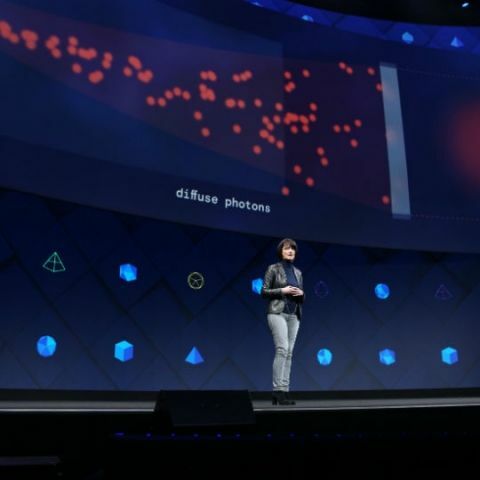 At the company’s annual F8 Conference, Dugan took to the stage to explain what she does at Building 8. According to Dugan, Building 8 was being modeled after DARPA. For your information, this is the same government agency that created the Internet and the GPS chips used in our smartphones and other consumer devices today. Dugan confirmed that any hardware developments are years away at this point, but the team could provide new ways for Facebook to earn revenues. Amongst the examples of what Dugan’s been working on is an attempt at allowing people to read with their minds. “It sounds impossible, but it’s closer than you realise,” said Dugan. Further, Dugan says people can already type about 8 words per minute using brain implants. She says Facebook wants to make the system non-invasive and fast enough to allow 100 words per minute. It could give disabled people “the ability to text your friend without taking out your phone,” said Dugan. Building 8 is also trying to allow communication via touch alone, something that takes its roots from Braille. Facebook even showed a video of people communicating through touch. The two Facebook employees in the video wore electronic devices on their arm and a computer program helped them communicate pressure changes to their arms. One of the employees, Frances, “learned to feel the acoustic shape of a word on her arm”, said Dugan. RAM which has more virtual memory space with it. which type of display is used by BlackBerry z30 LCD or LED? what is ment by PUF?